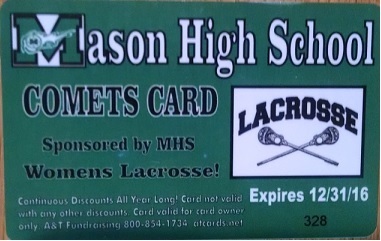 The Comet Card is a great way to help support the Mason Women's Lacrosse. 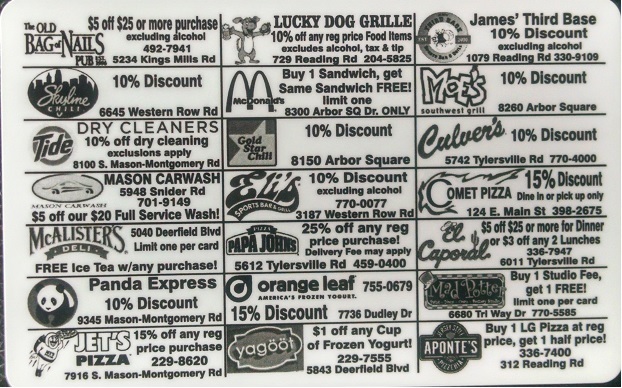 It is also a great way to enjoy saving at some great places in Mason to eat. Cards can be purchased for $10.00 from The Boosters. Please contact any Booster member if you wish to purchase a Comet Card. These cards are valid thru the end of the 2016 calendar year.